A kitchen without an island can often feel empty and incomplete and sometimes you don’t even realize it until you get to experience just how great life with a kitchen island is. It’s completely ok to add an island to your kitchen even after everything else has been set up. It doesn’t have to match your cabinetry and you don’t even have to go out and buy a ready-made one because you can actually design your own kitchen island plans just the way you want them to be. In a lot of ways, the kitchen island is similar to a table so you can borrow some design ideas from there, then add the key features that make the island special such as storage shelves, drawers or a solid top. 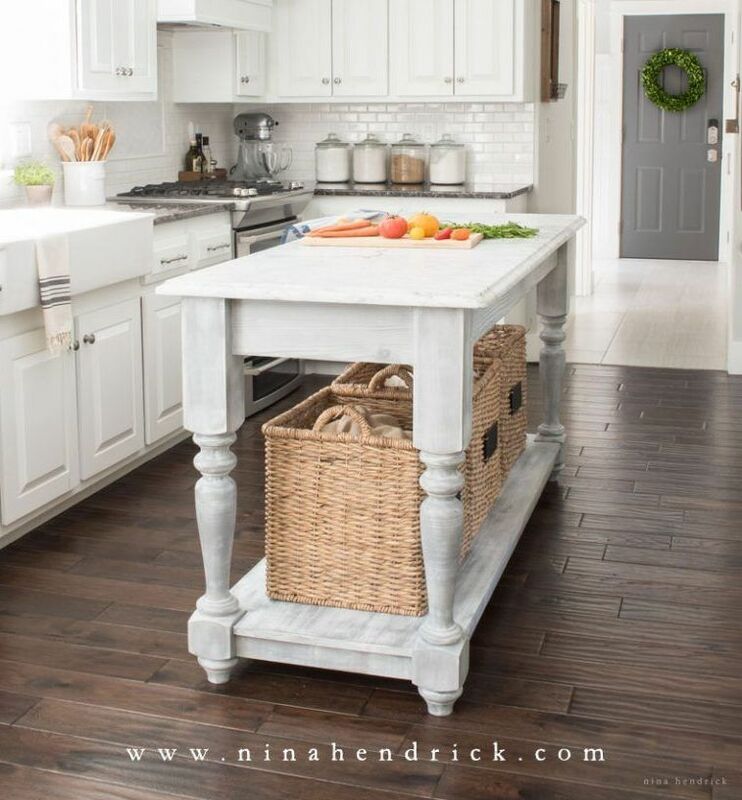 A simple design with traditional vibes such as the one featured on ninahendrick can be a great place to start your DIY journey from. 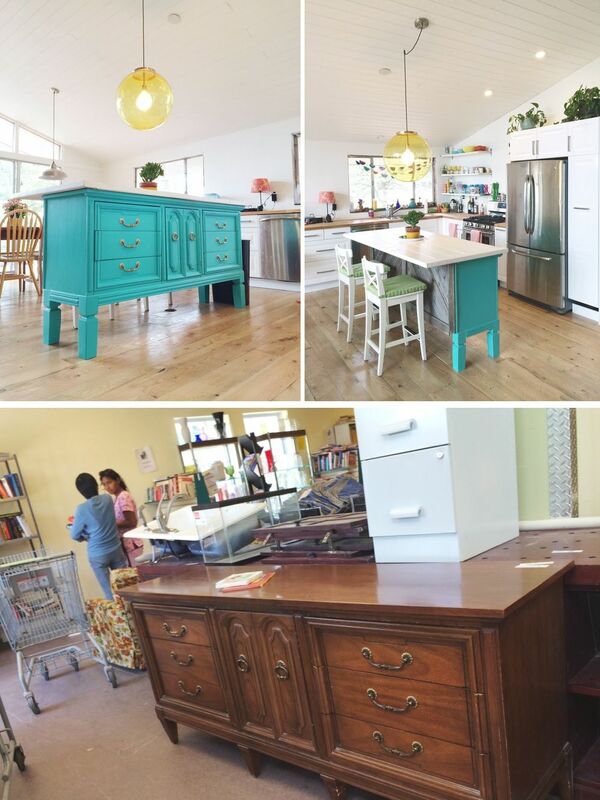 There are also plenty of similarities between kitchen islands and storage cabinets and that’s actually what inspired the project featured on instructables. This little island started out as a pre-made cabinet and everything else was built around it. It got extra shelves on . one side and a solid wood top and it looks pretty great plus it’s also very practical. Small kitchen islands are easier to build and often quite simple but that doesn’t mean large islands are out of the question. In fact, we found this great tutorial on housebythebaydesign which shows you how to build a kitchen island with a bar and storage on the side. It’s not just functional but also very elegant. If you like the idea of having a kitchen island but you don’t want it to take up a lot of space, build a small island, one which gives you a bit of extra counter space but doesn’t make the room feel cluttered. 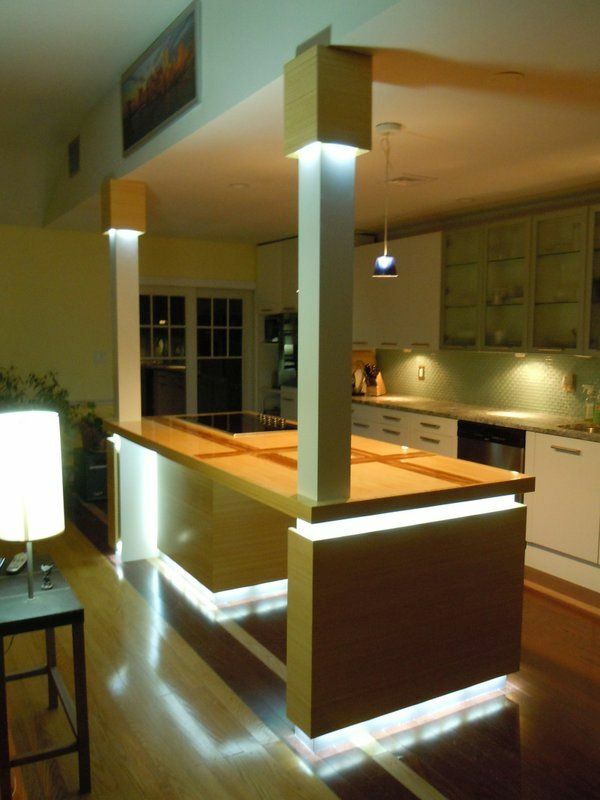 This narrow version featured on instructables could be just what your kitchen needs. It has these two shelves which can be used as wine racks which is pretty cool. 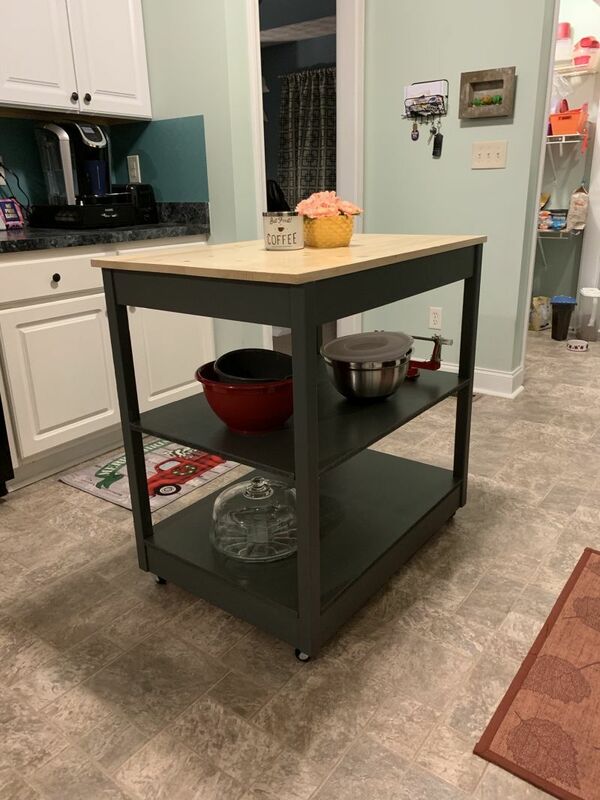 Another little thing which can make a DIY kitchen island extra practical and user-friendly can be to add casters or wheels so it can be easily moved around as needed. Also, you can add hooks and hangers for towels and utensils so you can store and organize them, maximizing the usefulness of a small island. Check out shanty-2-chic to find details about this lovely rustic island. 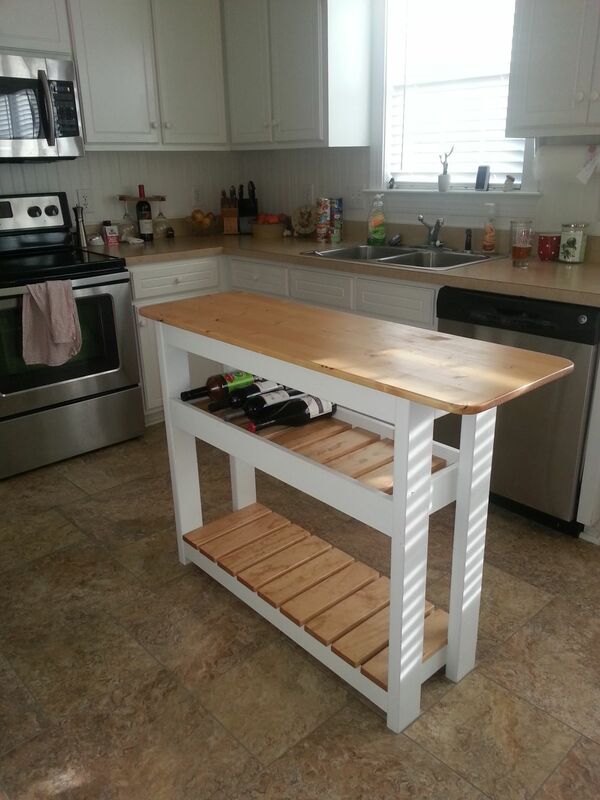 Speaking of rustic DIY kitchen islands, there’s also a nice project on ourvintagehomelove which describes how you can build something like this yourself from scratch. 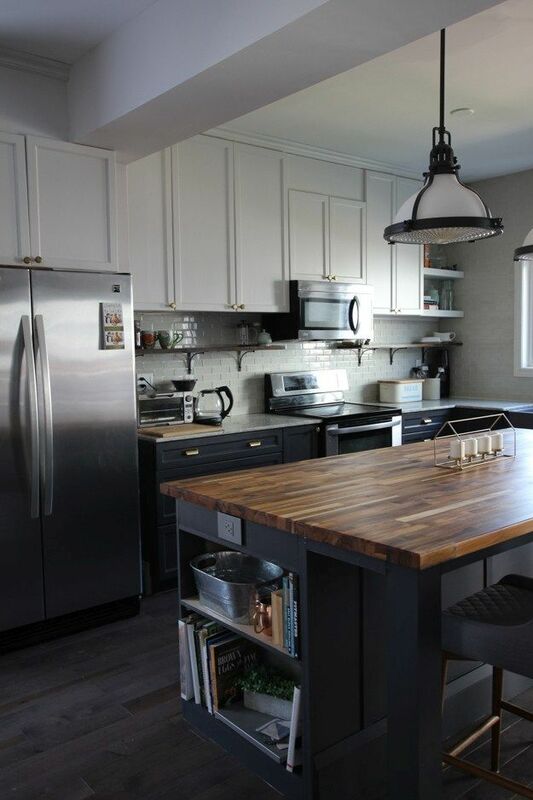 A nice thing about it is that you can use reclaimed wood for this project and that can actually give your island a lot of character plus it will reduce the cost significantly. 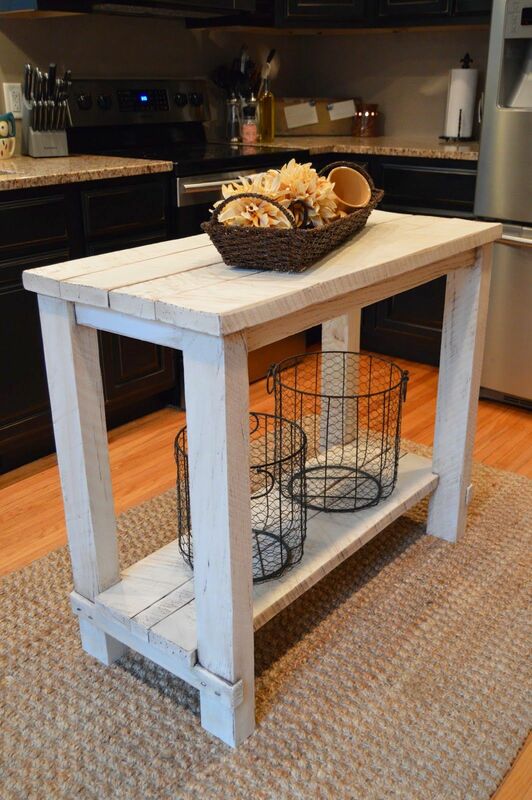 Here’s another example of a low-cost DIY kitchen island project. This one comes from mominmusiccity and has a simple design perfect for beginners. The three small panels with knobs mimic drawers but are mostly decorative. You can use the knobs as hooks for kitchen towels and you can add more on the other side if you want to. 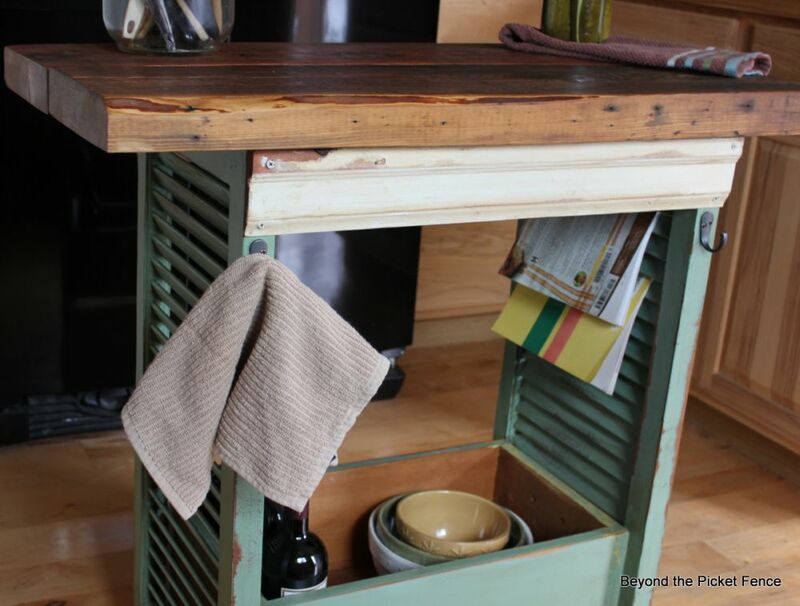 It’s possible to build a new kitchen island and to repurpose some old items and leftover supplies in the process. 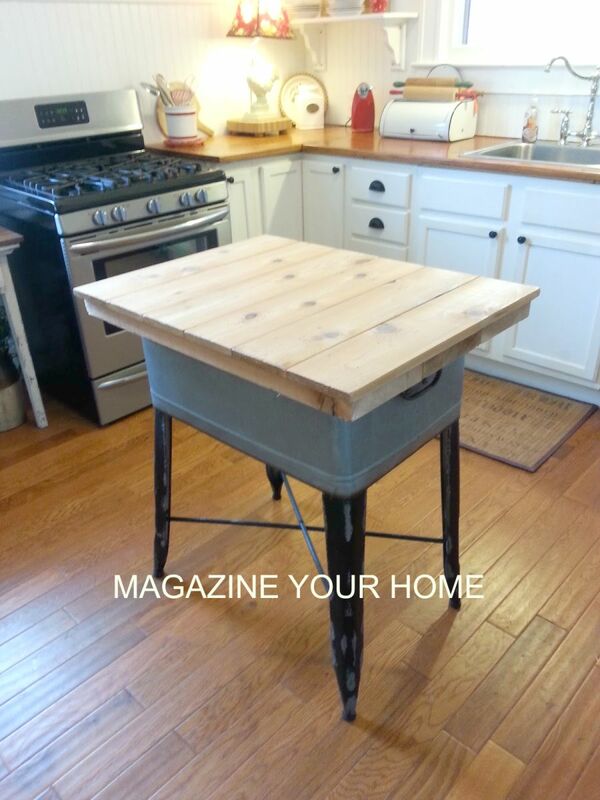 For example, check out this cool tutorial from magazineyourhome which shows you how to repurpose an old washtub into the body of a cute little island. Give it four legs and a top and that’s pretty much it. You can lift the top to store items inside the tub. 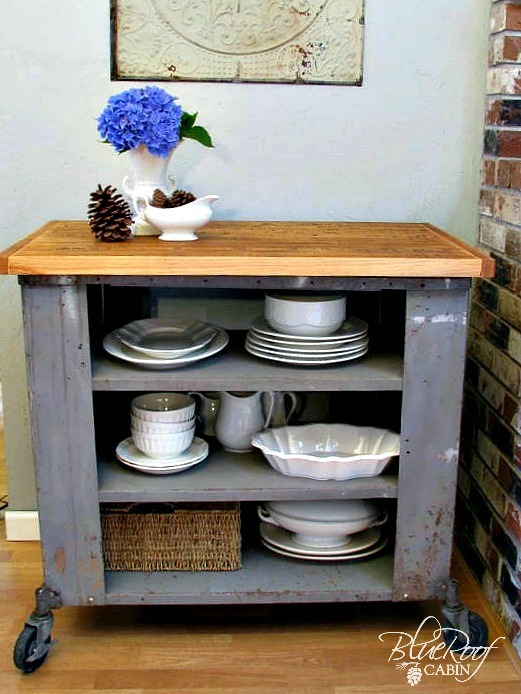 Cabinets are usually the easiest to repurpose. A good example is the project featured on sawdust2stitches which shows just how easy it is for anyone to add an island to their kitchen. This one includes two very practical trash bin slots, a set of small open shelves in between and a towel rod on the site. Bookshelves also have a lot of potential and can be repurposed into custom furniture pieces, including a kitchen island like the one featured on redouxinteriors. You can adjust the size of the bookshelf and either remove a few shelves or add a few, depending on the initial proportions and the final design that you have in mind. A kitchen could use a little bit of warmth and character and a DIY island is a great way in which you can make that happen. You can build one out of wood and it can be very simple, with nothing but a solid top and an open shelf at the bottom. It doesn’t have to look perfect. In fact, imperfections give it character. Check out krusesworkshop for more details. 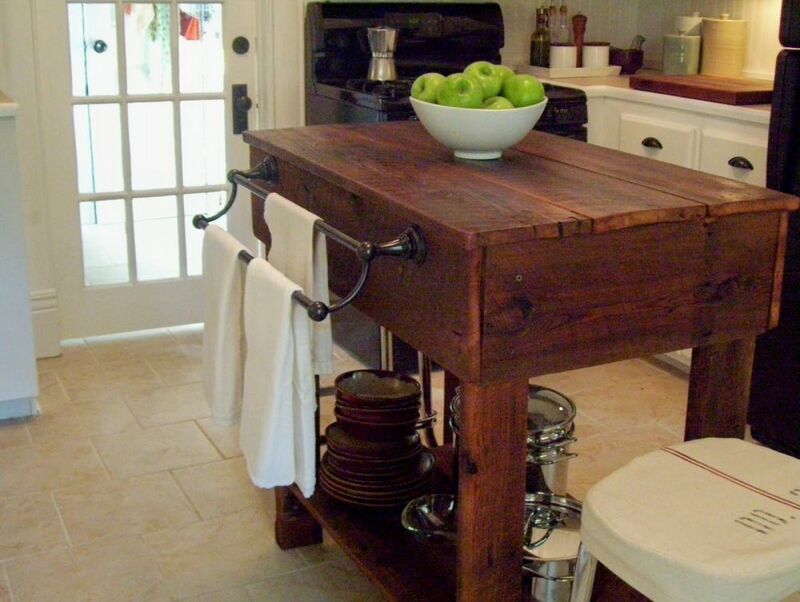 What about a kitchen island with an industrial appearance? The one featured on blueroofcabin is quite interesting and definitely stands out. The worn metal suggests a long and intriguing history and the wooden top contrasts with the frame but not necessarily in a negative way. 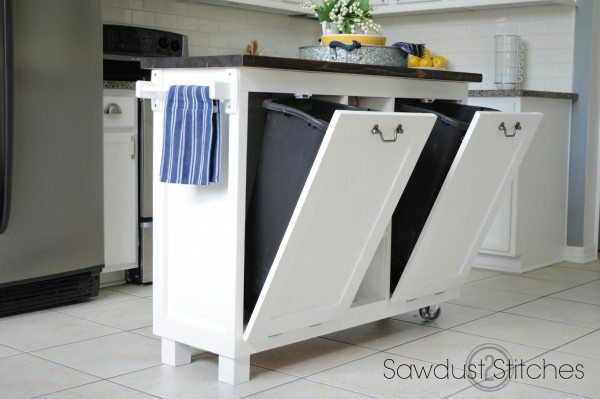 The wheels make it easy to push the island around so you could also use it as a cart. 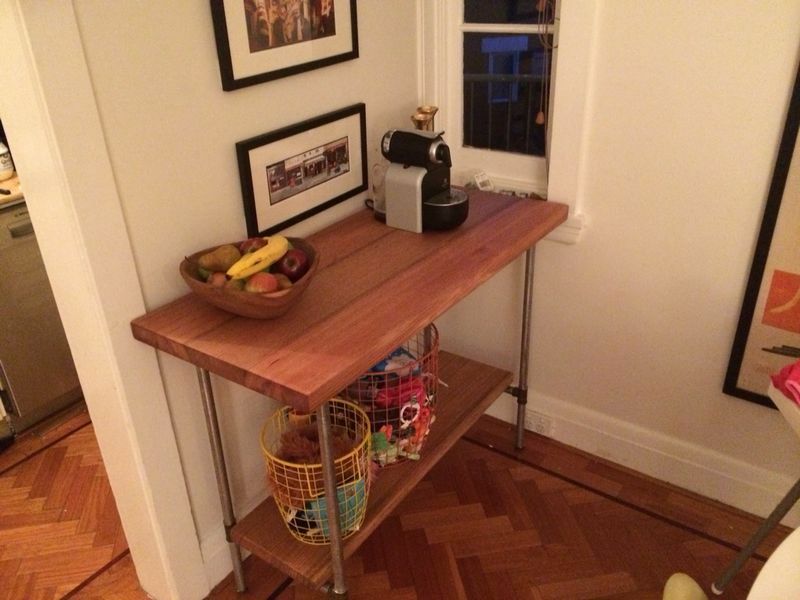 You can also give your DIY kitchen island an industrial vibe without being too obvious about it. For example, use metal pipes for the legs and overall frame and complement that with a wooden top and a matching bottom shelf. If you want to find out more about this idea, check out this tutorial on imgur. Want to take this project a step further? Check out this concrete table that has a rolling kitchen island underneath. It’s a great space-saving solution for small homes and also a very versatile idea which can be customized in all sorts of ways. 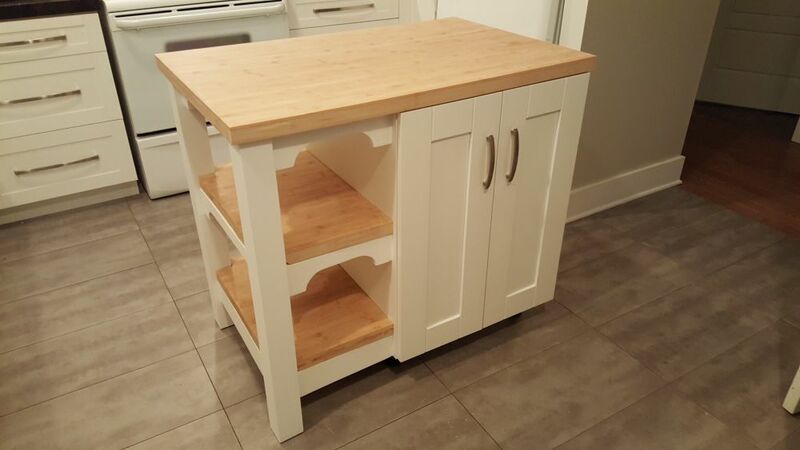 Based on this tutorial from imgur you can your own custom kitchen island and table combo. Create your DIY kitchen island plan based on the proportions and layout of your kitchen. You should leave plenty of room to freely move around the island. This one seems just right for a medium-sized kitchen that’s either part of an open floor plan or separate. The two shelves come in very handy, letting you store most-used items and other things on a daily basis. check out imgur for more details about the project. 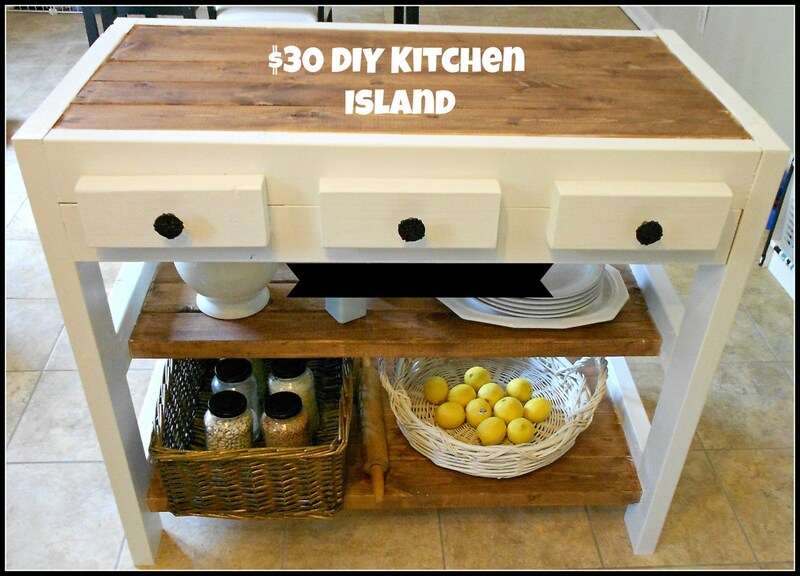 There are a lot of amazing designer islands out there to be inspired by and a lot of them have built-in appliances which is definitely great but also quite intimidating when it comes to DIY kitchen island plans. However, it can be done and it’s not nearly as complicated as it seems. The best example in this sense would be a project we found on instructables. This is a shutter island, in the literal sense of the term. 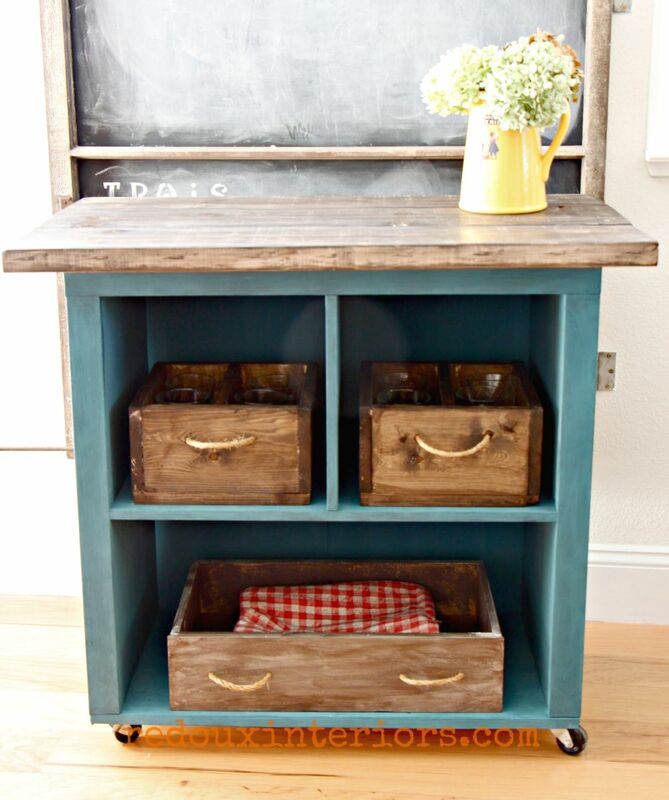 It’s a very cool idea which we found on beyondthepicket-fence and which cleverly shows how rewarding it can be to repurpose old objects and to give them a second chance. The island is small but has a ton of character and that’s a great combo. Creating the plans for your new kitchen island and then building it takes up quite a bit of time and skill but there’s another step that’s just as important and it only comes after everything is planned and built. We’re talking about the part where you customize the island and make it look beautiful. This can include painting the wood and adding hardware that can complements the design. Perhaps this beautiful turquoise island featured on nestinggypsy can be your source of inspiration. 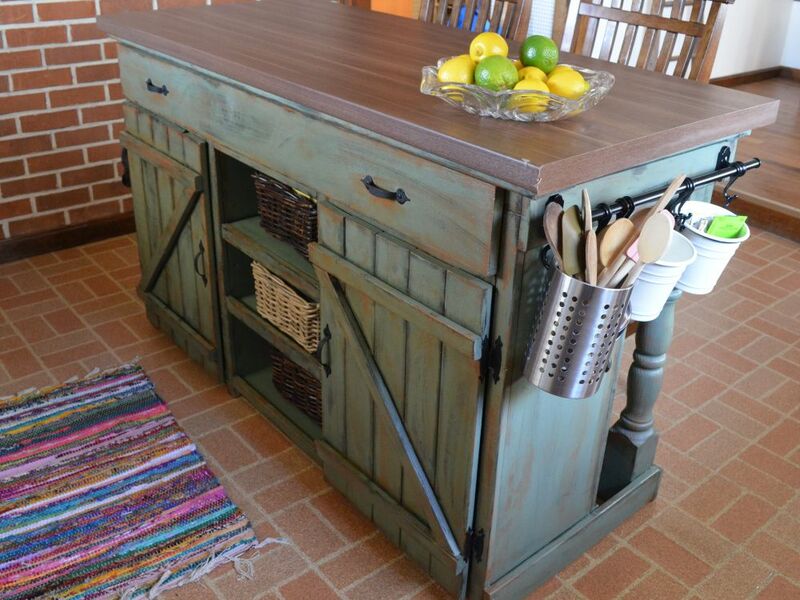 Isn’t this kitchen island just adorable? We love its dark blue color and light wooden top, the small wheels and the clever and practical way in which everything is organized. 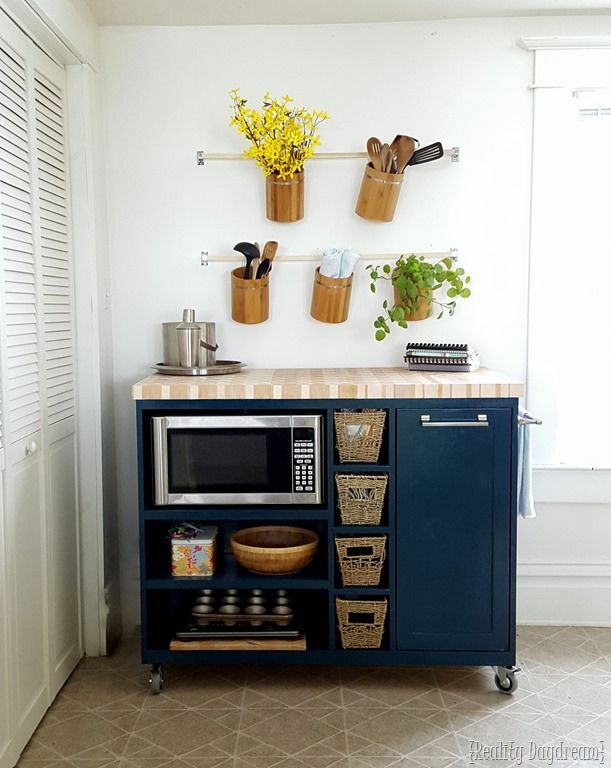 There’s room for the microwave oven on the top shelf and the small nooks can hold storage baskets which lets you organize small items in a very nice way. If you want to find out how to build something similar, check out the instructions on realitydaydream. 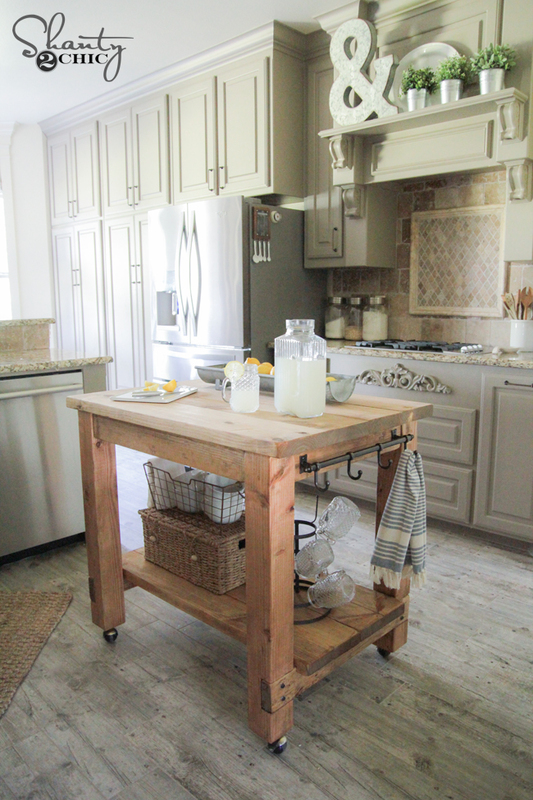 The last project on today’s list comes from ana-white and shows you how to build a farmhouse-style kitchen island. The key here is to either use reclaimed wood with an aged appearance or to artificially create the worn look using paint and sandpaper. The post 20 DIY Kitchen Island Ideas That Can Transform Your Home appeared first on Home Decorating Trends – Homedit.